ESO Supernova Exhibition — What does the infrared unveil? What does the infrared unveil? At room temperature common objects and even the human body don’t emit visible light, but infrared light, which is associated with heat – thermal radiation. 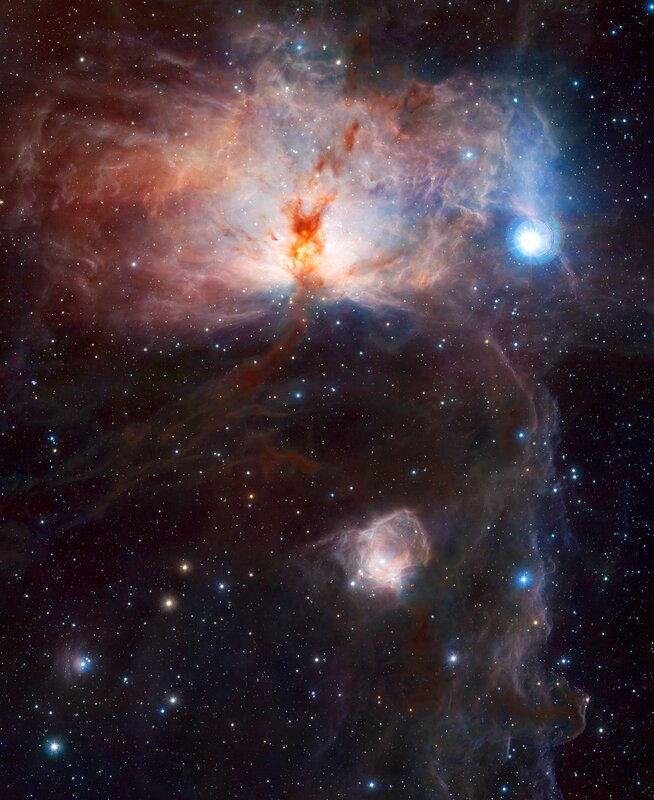 At infrared wavelengths, astronomers can also peer through cosmic dust. 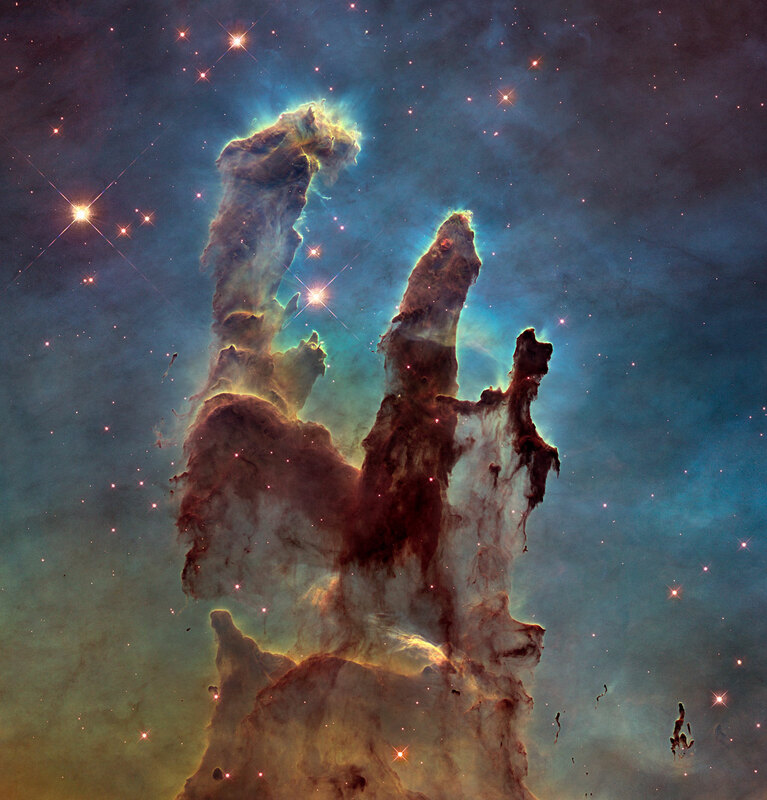 Hidden birth: New stars are born out of sight in the dark and dusty “Pillars of Creation” in this famous Hubble image, made at visible wavelengths. 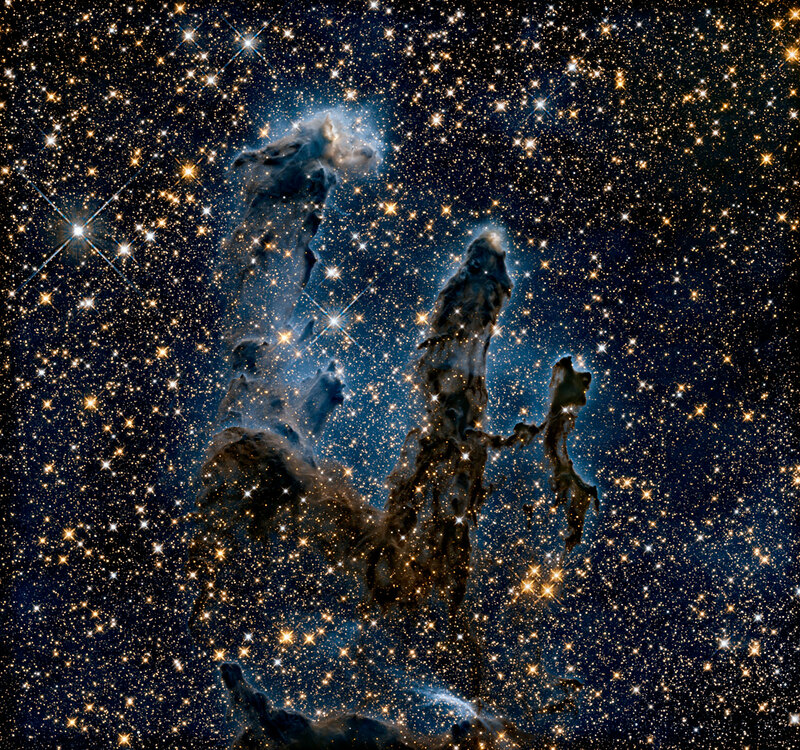 Clearing the dust: Observed at near-infrared wavelengths, most of the dust becomes transparent, revealing what goes on inside and behind the dark pillars. Infrared light was discovered in 1800 by William Herschel. It is emitted by relatively cool objects, like dust clouds and protostars. In addition, visible light from remote galaxies is redshifted to infrared wavelengths by the expansion of the Universe. Infrared astronomy, carried out both from the ground and from space, has revealed a wealth of detail about dusty star-forming regions and about young galaxies in the early Universe. Heat map: An infrared camera reveals temperature differences, even in a completely dark room. Our eyes can’t see infrared light. A night vision camera can. Astronomers use very special night-vision instruments to study infrared radiation from space. They can even see through clouds of dust!